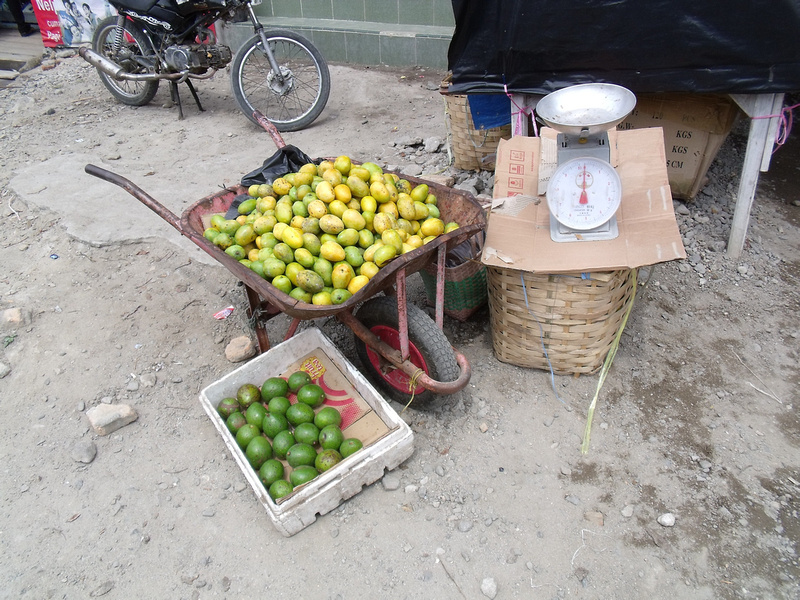 I have set up shop in Tuk-Tuk, which is a little town is on the island of Samosir in Lake Toba, Sumatra, Indonesia. 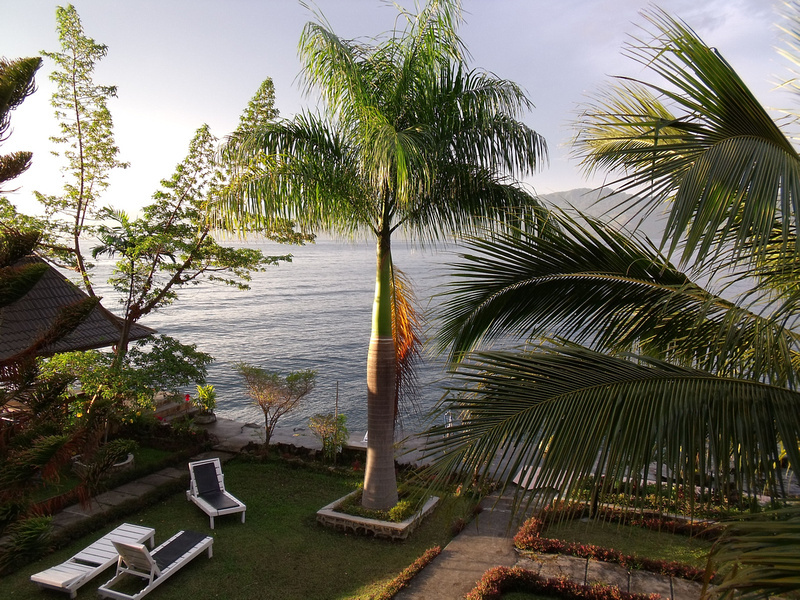 Lake Toba used to be on the backpacker trail but it has fallen on quiet times of late. There are lots of vacant rooms here and you can rent a cottage by the lake for $6 USD a night. 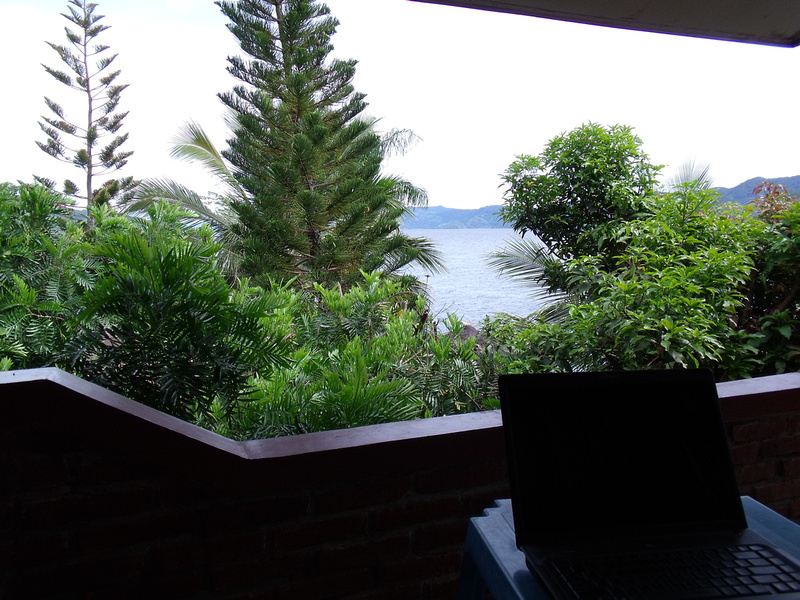 There is no wireless on this island, only internet cafes, so my work day requires some planning. I go to the net cafe in the morning, plug in my laptop and save what I need for the day. I then do all of my work offline, return to the net cafe in the evening and save my work. I always thought that I would need wireless to live somewhere, but I have found that my productivity has actually increased without it. I don’t have the distractions of news sites, facebook and random surfing. I just have to get on with the job of writing and making websites. Of course it is not all work. 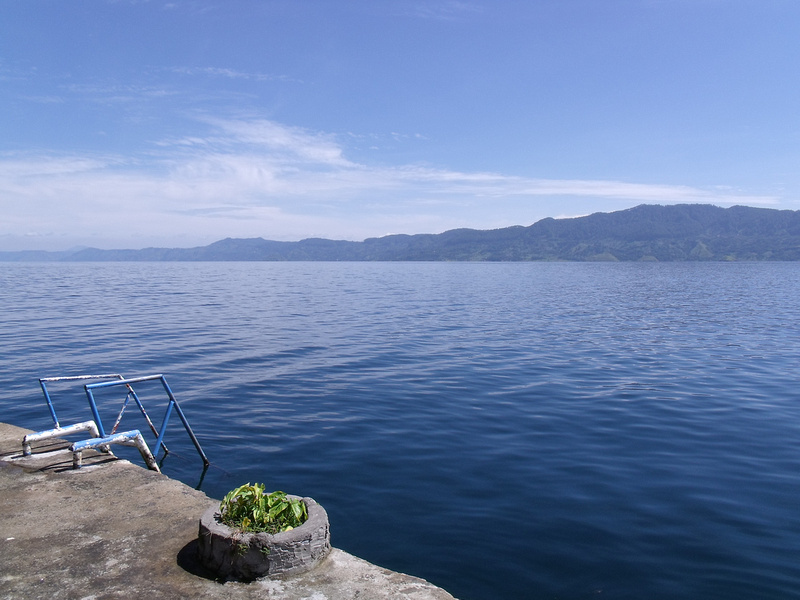 When I need a break I can step outside and jump into the swimming pool that is Lake Toba. There is no bridge to this island so there isn’t as much traffic as you find on “mainland” Sumatra. This makes it a great place for me to stay for a while. There are mango trees everywhere in Tuk Tuk. 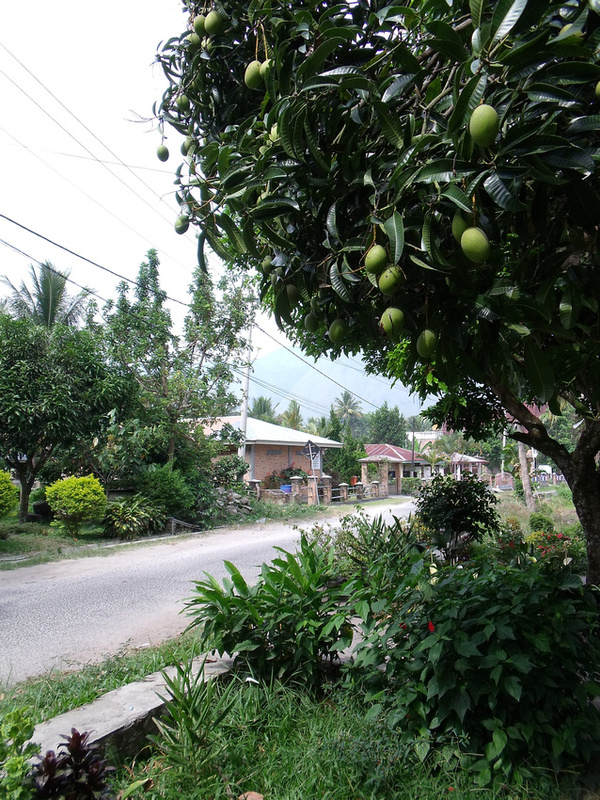 It is not uncommon to see mangoes on the road that have fallen from over hanging trees. I had never stopped to consider where a mango grows. If you had of asked me I might have said that they grow on a tree about the size of an orange tree. 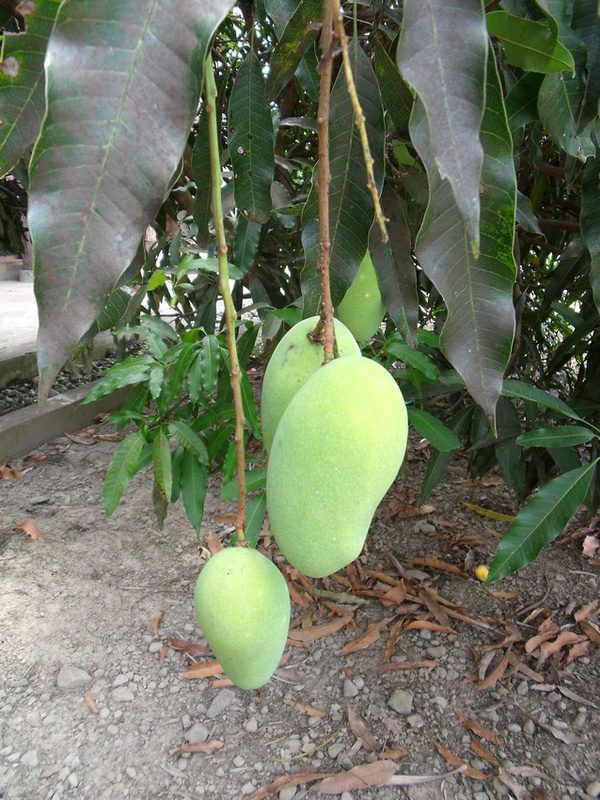 In fact mango trees grow up to 35–40 metres in height. In Tuk-Tuk I have seen mango trees this high, with mangos in the top branches unable to be reached by even the biggest ladder. In the southern states of Australia a mango can sell for up to $3 each, though the variety grown in Australia is twice the size of a Sumatran mango. Here in Sumatra you can buy them for about $1 a kilo. Do they sell bintang there and can you bring your motorbike there AND do they have a western toilet. – Yes beer is sold everywhere here. The region is actually the largest Christian population in Indonesia (around 5 million people) so no worries about drinking. – You can bring your own bike, but you will have to enter the Island at Pangururan. I did see scooter sized motorbikes carried on the passenger ferries if you wanted to do that. – Western toilets are in all of the guest houses I saw and in the bars and restaurants. Hello, I’d love to know where you stayed? I am hoping to ‘set up shop’ here also for three weeks in July to work on my thesis. I’ve heard so many mixed reviews about where is best to stay so please let me know your thoughts.